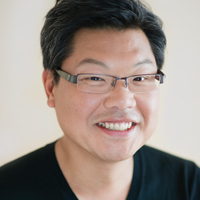 Benny Kim is known for his versatility as a soloist, chamber musician, and teacher. Performances include recital appearances at the 92nd Street Y and The Kennedy Center; festival appearances in Santa Fe, Savannah, and Angel Fire; and concerto performances with the orchestras of Chicago, Boston, and St. Louis. He appears on recordings from EMI, Koch International, and Centaur, and is associate professor at the University of Missouri/Kansas City Conservatory of Music.